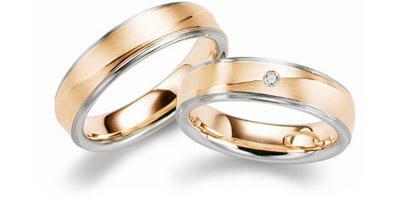 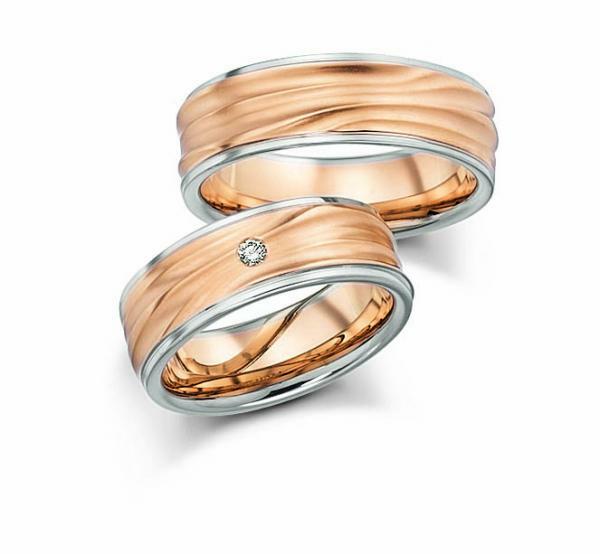 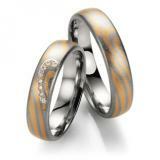 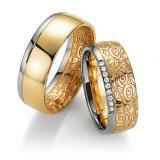 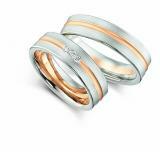 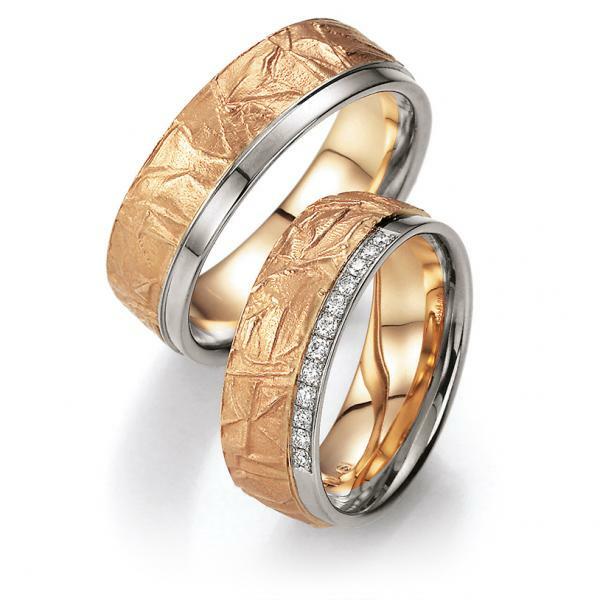 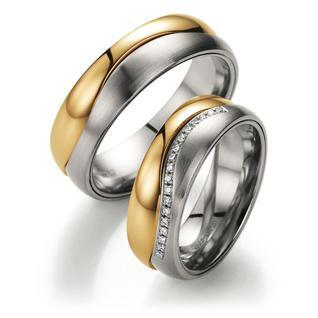 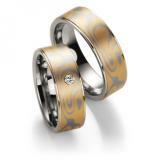 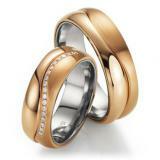 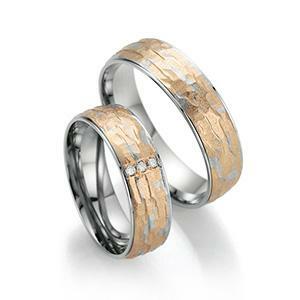 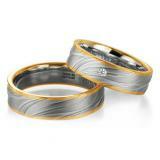 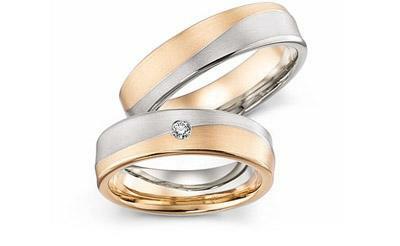 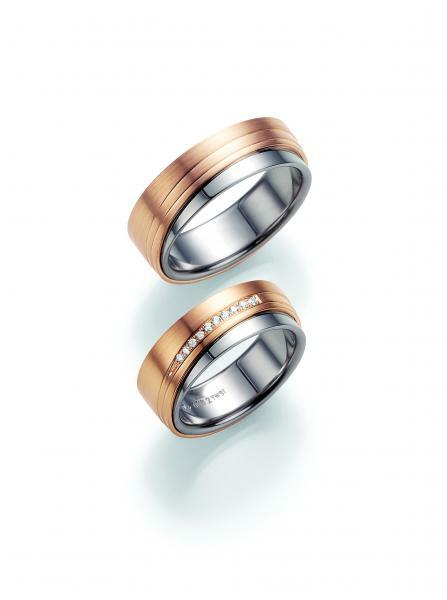 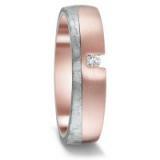 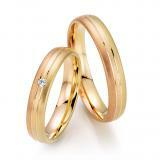 We set with wedding rings in apricot and gray gold. 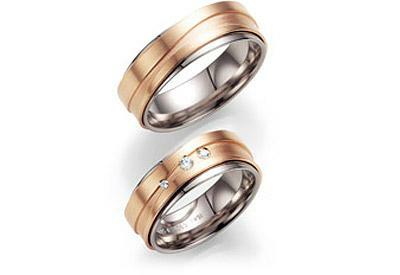 This particular color combination offers additionally by surface texture, shape and profile. 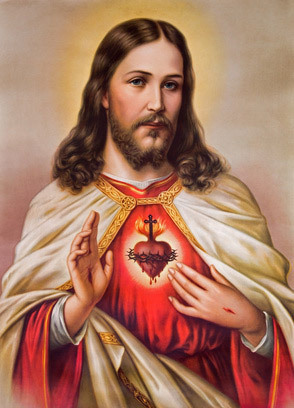 With or without diamonds these rings act which do not change in color, by uniqueness. Each ring is unique here.